A heathy alternative to ice cream, with out lactose, and sugar free. 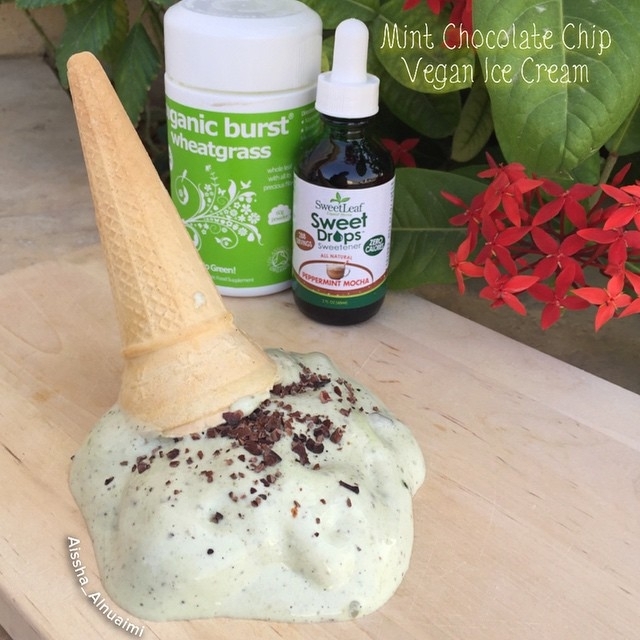 use a frozen banana and mix it with the wheat grass, stevia and liquid mint. Blend it in a food processor or high speed mixer.